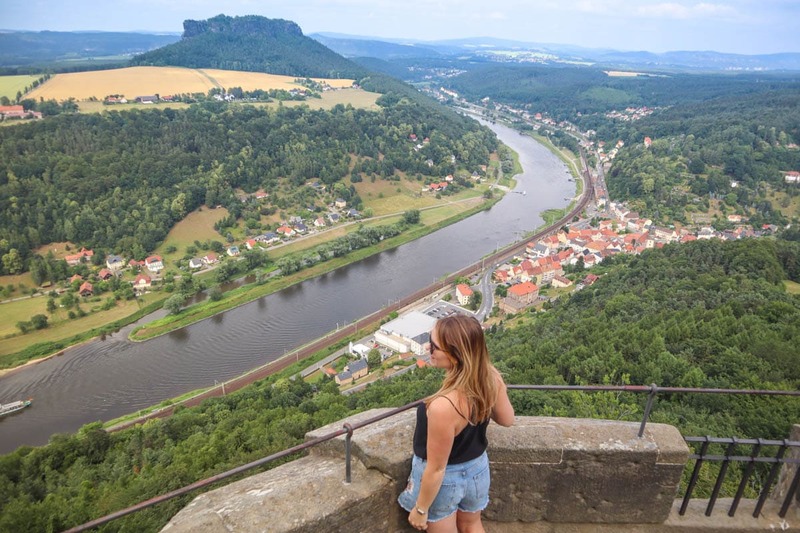 Named numerous times as one of the top UK travel blogs, Wanderlust Chloe is a travel blog for the 25-34 year old traveller, who has a passion for fun, food, style, adventure and memorable moments… with a touch of luxury. With over 100,000+ monthly pageviews, 50,000+ social media followers, 270,000+ YouTube views and an engaged blog following, Wanderlust Chloe is a great blog to collaborate with. 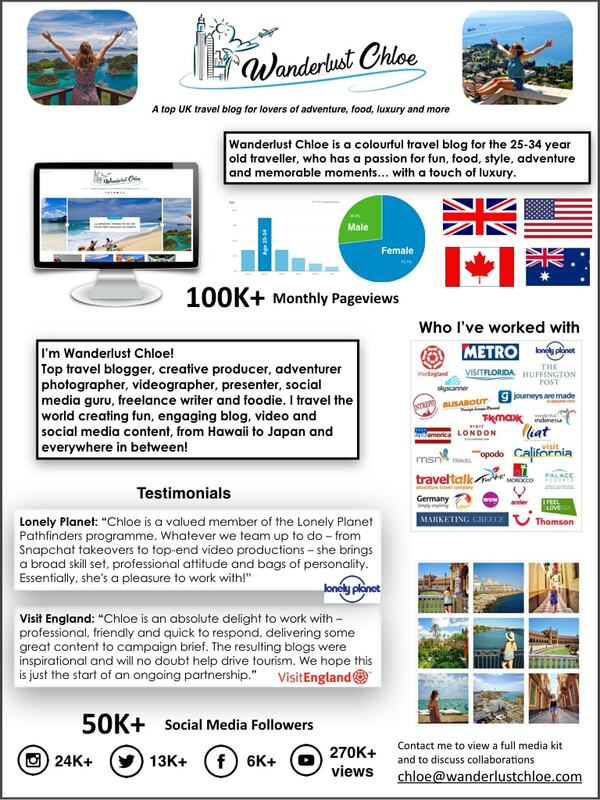 With regular freelance video, blog and social media work with Lonely Planet, Metro and Skyscanner, and top travel campaigns including a big video project with Lonely Planet in New Orleans and blog campaigns with Visit Florida, Japan National Tourism Organisation, Visit England, I am passionate about inspiring people to travel. I’m also one of just five Visit England ambassadors and one of seven Lonely Planet Trailblazers! I’m always keen to look at opportunities to work with brands that compliment mine. I can help you target your customers in a new, exciting way – whether it’s creating engaging video or social media content to promote your destination or brand, a review of your hotel or restaurant, a sponsored blog post, a competition, developing a creative social media plan, or on-site advertising. There are so many ways to collaborate. As a blogger and creative producer, I can provide content that is instantly visible online, and simultaneously shared via social media to a loyal follower base. Get in touch today to discuss press trips, creative production, partnerships, copywriting, affiliate programs, sponsored posts, editorial work or to request my media kit. Let’s see how a collaboration could benefit both of us. Find out more about my blog below. Full media kit available on request. What are you waiting for, contact me now! I admit to being a total foodie and a travel lover! Occasionally, I am lucky enough to be offered an amazing trip or complimentary meal, in return for writing about it. I only accept offers that I think fit with my blog and would never compromise this – otherwise what’s the point?! Don’t worry – there are plenty of times that I stumble across an amazing place by chance, and can’t wait to tell you about it, without the owners knowing. To help cover the costs of running this site I occasionally use affiliate links, but remember, all thoughts and opinions expressed on this blog are my own.